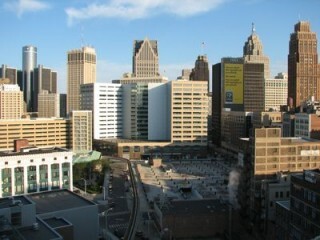 A lot of people here in Detroit are still struggling to get over the huge hit our burg took in 2008. The city is, as we speak, bulldozing neighborhood after neighborhood of empty, foreclosed houses to make room for some new growth. But what a lot of people don’t see is the entrepreneurial spirit that’s rising up out of the rust — a spirit that has made Detroit one of the new Internet Marketing capitals of the world. After all, when no one else will hire you, you have to hire yourself, and nothing gives you more freedom to do that than the Internet. One of the biggest challenges the new class of Internet entrepreneurs faces is the fact information never dies on the Internet, and there are lots of predators out there willing to tell them all about last year’s (nonfuntional) SEO practices — just bring money. I think it’s time we clear up some of the myths and talk about what actually works today on the SEO front. Back in the day, you could trick the search engines into loving your site by just cramming it full of a particular keyword. Even today, there are gurus out there encouraging the newcomers to shoot for keyword densities instead of encouraging them to write killer content that will drive traffic by virtue of being useful. Modern search engine spiders will happily downrank your site for keyword stuffing — but there’s nothing they love more than new, useful, user-friendly content. Optimizing your meta tags used to be a critical part of SEO — it was a chance to add another iteration of your keyword into every slot in the header, after all. Today, the only meta tag that matters at all to the spiders is the Title tag, and even that should only have your main keyword in it, and just once. Everything else is a waste of time or worse. Search engines used to essentially ignore pictures. If you had to have a picture, you were best off stuffing more keywords into the ‘alt’ and ‘title’ arguments of the tag. Today, however, with Google Picture Search ranking pages entirely independently of the rest of Google (and driving some decent traffic with it), and Google Video Search on the horizon, the quality and content of your pictures actually matters. There’s constant bickering among the Internet gurus about what to do with social marketing. Yesteryear’s wisdom said “there’s no such thing as a bad social interaction”, but after watching debacles like GoDaddy CEO Bob Parsons putting pictures of himself shooting and killing an elephant in Africa up on Facebook, that’s plainly not true. GoDaddy lost somewhere upwards of 4% of it’s customers in a single afternoon thanks to those pictures and a very spiky social media blitz by PETA. The truth is, social media is powerful, but it’s a two-edged sword, and if you’re an entrepreneur, you probably want to hire someone to handle it for you until you get the hang of it. In fact, in general — at least from my view here in Detroit — SEO is probably best handled by the experts. If you can’t afford to hire one, of course, work for it until you can — but once you can unload the responsibility on someone who does it full-time, do it. Do it and focus on all of the other, more important parts of getting your new business off the ground.